Mark Feinsand reports on Twitter that the Rangers are signing reliever Shawn Kelley to a one-year deal worth $2.5 million with a club option for 2020. 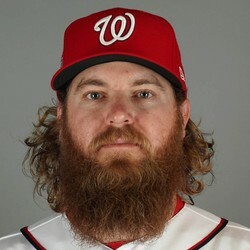 Kelley posted his third year in a row with a sub 3.00 ERA for the Nationals and Athletics last season. If Kelley can stay off the DL, which he's had trouble with since he's never been able to pitch 60 innings in a season, he could be an important part of the Rangers bullpen and a possible replacement for Jose Leclerc down the road.